We design and develop automations tailored to your specific needs, providing assistance and maintenance throughout the system’s lifecycle. Below some of our successful custom solutions. Implementation of a robotized island for automatic loading of clips to replace the operator. 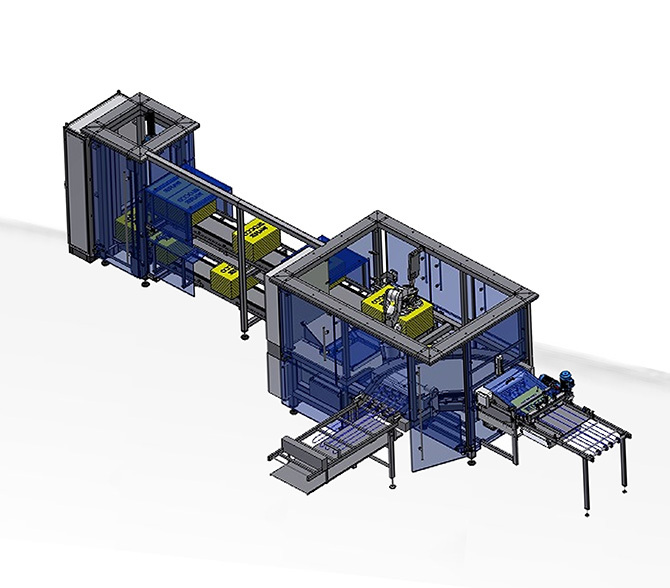 Integration with existing equipment built by third parties for automatic insertion of plastic clips. The machine is designed to insert hot metal hinges of small size and various shapes on plastic shapes on which a small round, rectangular, or square millimeter deep mill is first made. The equipment has been conceived to automatically load and unload a sheet metal cutting press, of various sizes and materials, into smaller sheets that are used to produce details in the fashion industry. 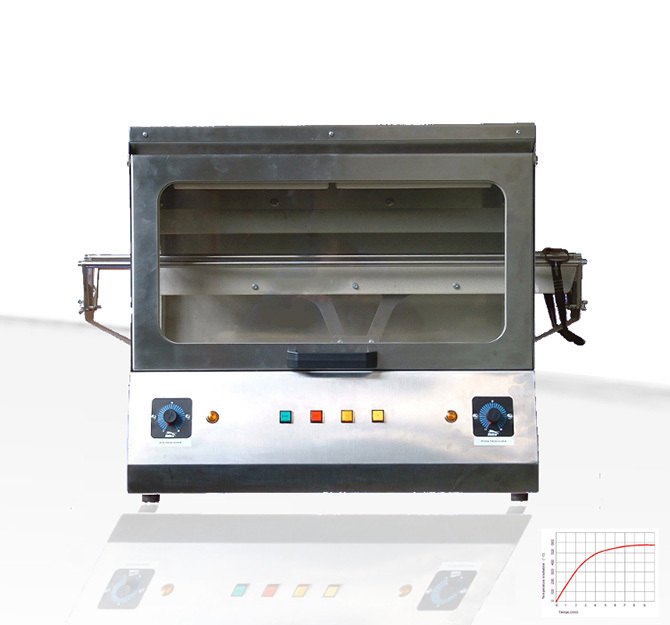 The item to be heated is placed on the right entrance opening that, once it runs through the entire length of the oven, will exit from the left opening. Adjustment must be made according to the item size and according to the required curvature. 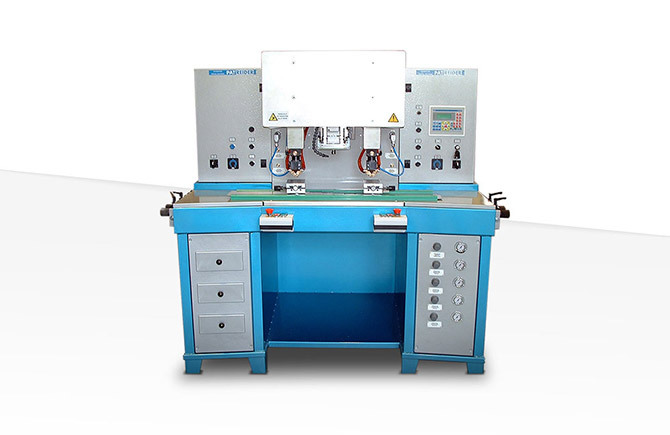 The machine is designed for automatic insertion of small parts during a hot stamping process. Automation selects some part types from a pair of vibrating linear plates and proceeds, through a pair of anthropomorphic robots, to their insertion inside the mold prior to hot stamping. Subsequently, it takes the semifinished material formed during the molding process and makes the cut by conveying the semifinished product into separate collection tanks. The machine is designed to create an items buffering system with appropriate capacity to cope with downstream line machines and continue uninterrupted production at the same time. 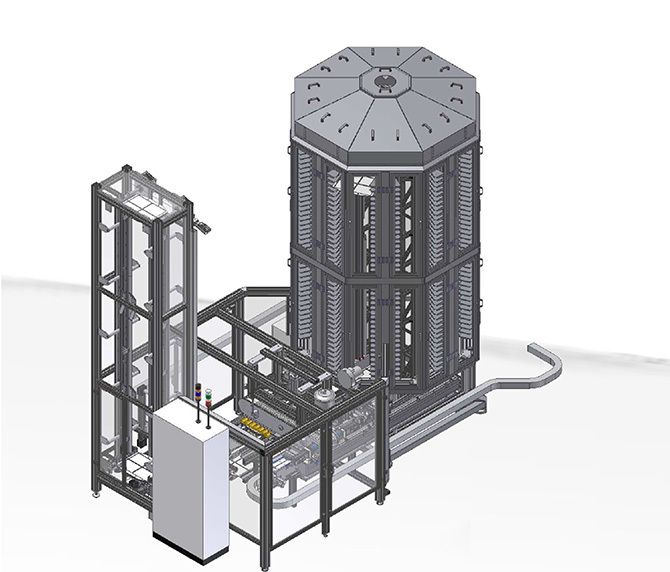 The machine is a storage and re-insertion system for wafer blocks that allows wafer products to be received from a production line and temporarily stored in case of downline machine stoppage and then reinserting them in the line once reinstated. 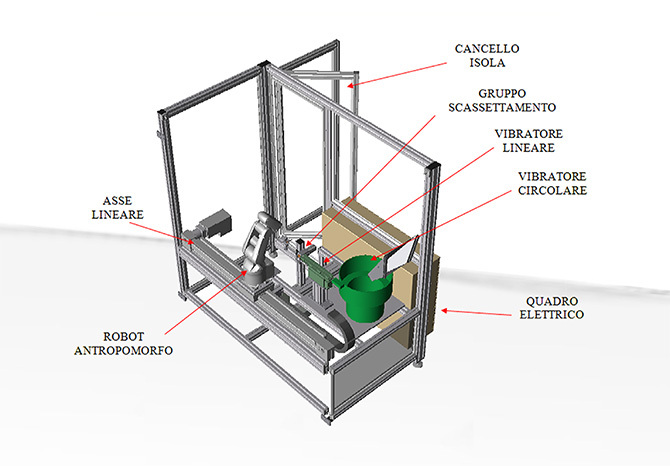 The machine automatically creates a packaging solution that simplifies the work of the supermarket during the product exposure. 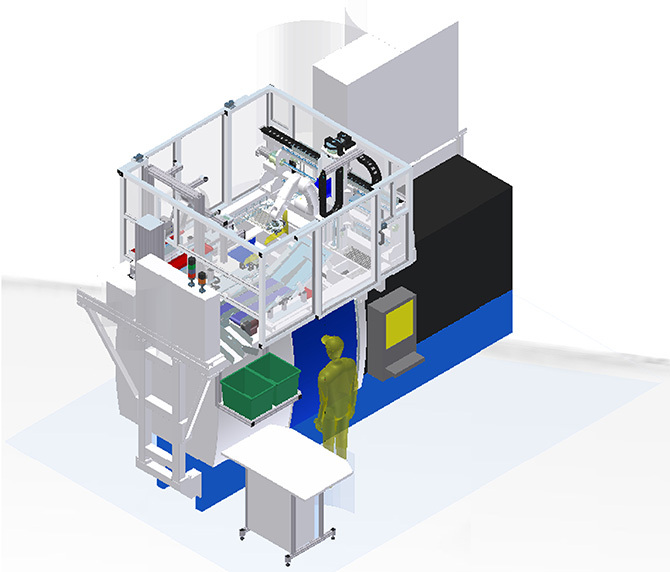 The machine automatically creates a packaging solution that simplifies the work of the supermarket during product display. 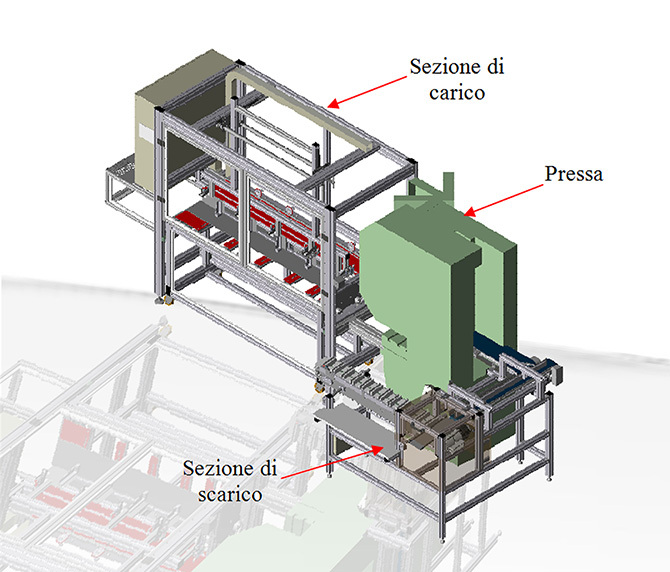 Today, the company is based in Cima Gogna industrial area of Auronzo di Cadore (Veneto region, northern Italy) and provides technological solutions for the automation of production and packaging processes.